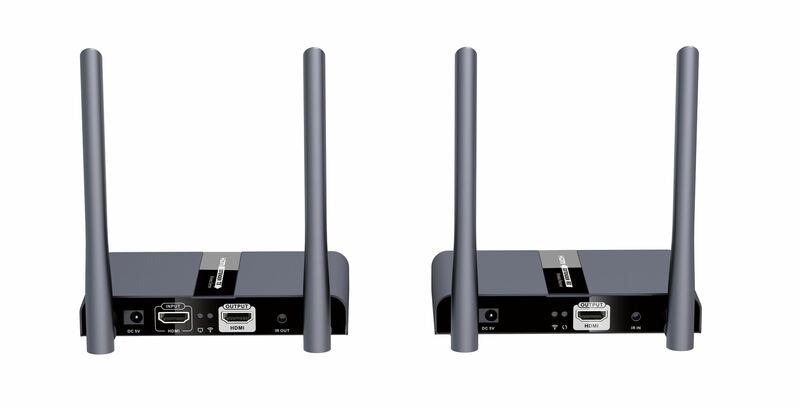 LENKENG 100m HDMI Wireless Extender point to point connection, double antenna version. This HDMI wireless extender includes transmitter unit and receiver unit, which allows to transmit and extend HDMI signal up to 100 meters wirelessly. It has a strong anti-interference ability by running at 5GHz operation frequency and supports point to point connection. IR passback with 20~60KHz frequency helps to remote control the source device from the receiver side.